Have you ever wanted to surprise your spouse with a standout gift they will love and use? My husband is a challenging guy to shop for because he doesn’t like people spending money on him. Sometimes I just want to spoil him with some nice, like the exceptional Jord watches with craftsmanship and style. 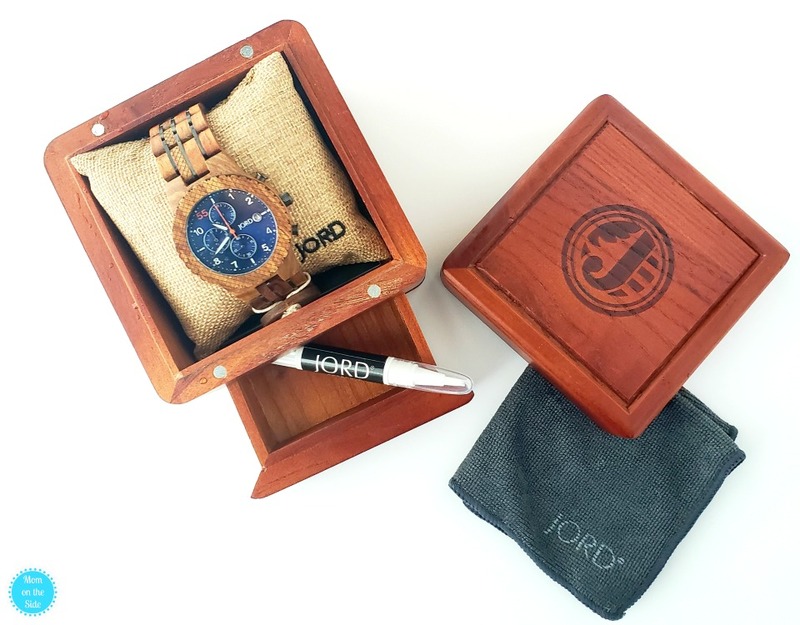 Jord (pronounced Yode) is based in St. Louis, and they create some of the most beautiful watches from a sophisticated mix of natural, and largely re-claimed materials. 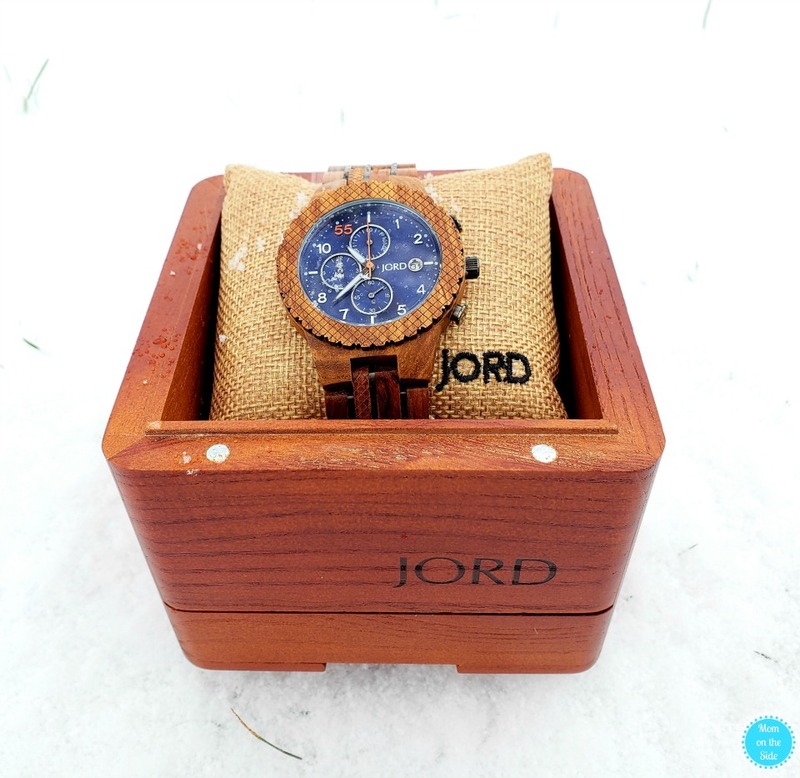 I scrolled through all the standout pieces and finally chose the Conway Kosso & Midnight Blue Watch from Jord. I hope my husband falls in love with the watch as soon as he opens the lid on the Cedar Humidor presentation box it arrived in. After 22+ years together I know him pretty well and he’s probably going to love the little sliding drawer and wood pen just as much as the watch! 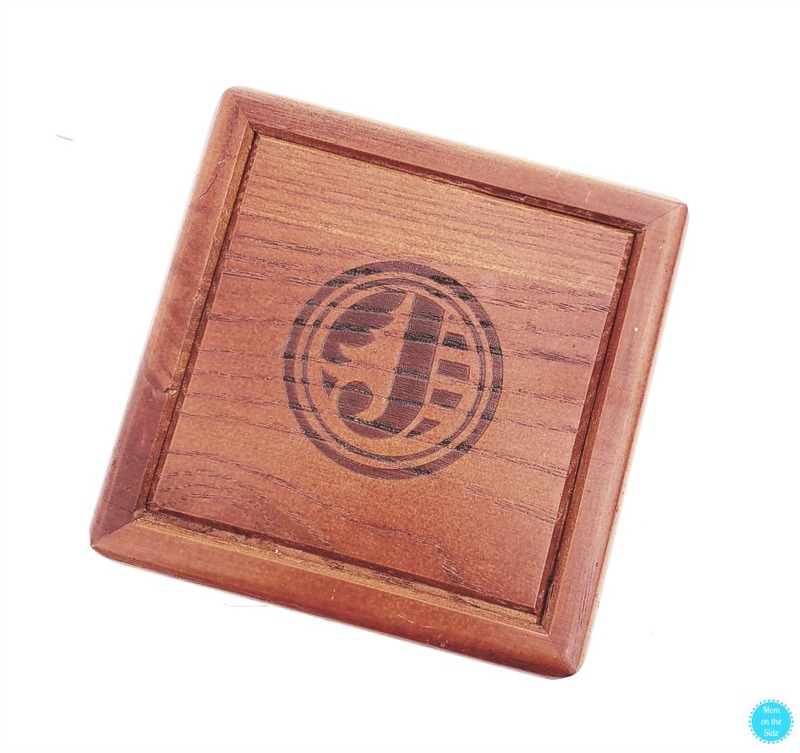 PS: There is even an option to engrave the beautiful box it comes in as well! Speaking of engraving, most of the Jord watch backplates can be engraved with a special message to the recipient making them a great personalized gift. They can also be sized to fit and many styles offer additional customization options as well. 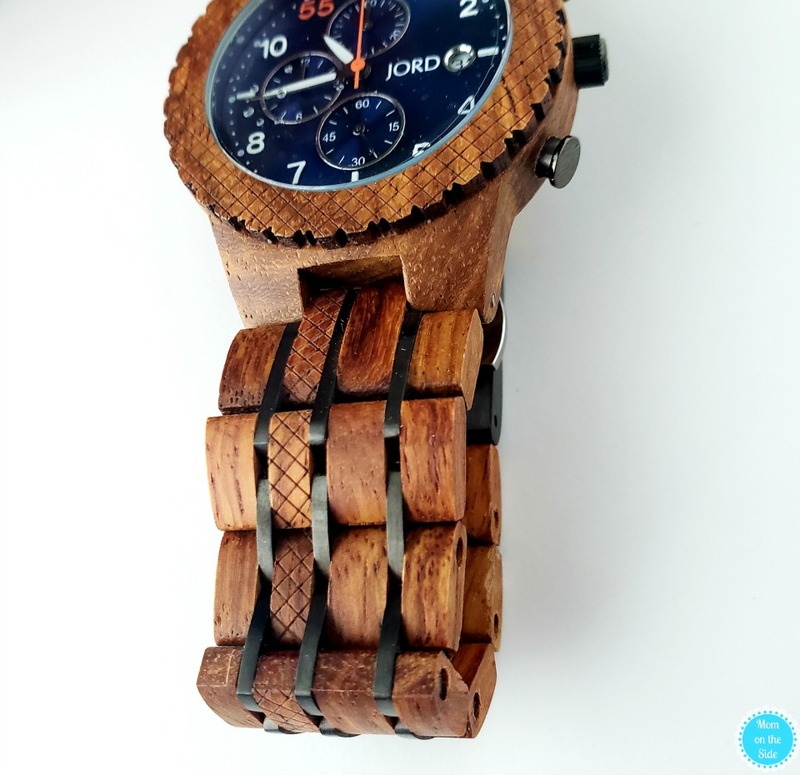 I can’t get over the impressive quality and craftsmanship that goes into Jord Watches. Just look at the style in that wood! Jord backs up all the hard work they do with a one year warranty and options for returns and exchange. Plus, they offer free worldwide standard shipping to make holiday gift giving even easier! 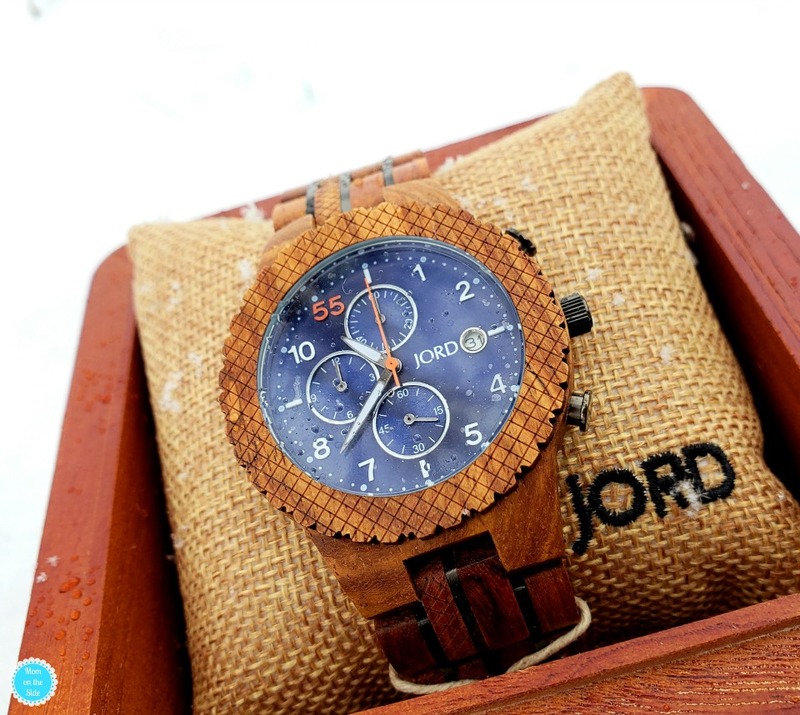 Thanks to Jord, one lucky reader is going to WIN $100 off any watch in their collection! Everyone who enters will get a 10% off code as well!